Activities have been going on at l-Ixtabi Lace Place for the past weeks, where visitors from Ukraine, Norway, Australia and Malta had the opportunity to meet, share skill-experiences and, above all 'MAKE MALTESE LACE' in a peaceful atmosphere on a farmhouse typical of Gozo in the past. Courses held on a low-profile are most enjoyable. For pictures go to 'Courses'. Looking forward to welcome more lace makers later on in the summer. Soon l-Ixtabi will be throwing its doors open again for the Summer Lace Courses. Requests have already started to pour in from different places. Group visits to the lace exhibition are made possible by appointment. Booking is done by contacting me some time in advance. Please note that preferably you should allow two hours at the house to enjoy the full tour. Do come and explore one aspect of Gozo environment from the past. There has been a technical fault with the system of Course Application for Summer Course 2015 at l-IXTABI. May I Kindly ask those who have already submitted their application to apply again; in case you do not receive an acknowledgement of receipt of application from me please correspond by e-mail. Welcome to www.malteselace.eu - the portal dedicated to the promotion of Maltese Lace. Although rather belated, I wish you all a 'Happy New Year 2015'. I presume you are looking forward to lace courses to fit in with your holidays, as many are writing to ask about lace courses at l-Ixtabi during Summer 2015. I tried to satisfy the needs of most of you, local and foreigners, and schedules have been prepared for various categories to cover the period 6 July - 4 September 2015. Details of the courses Summer 2015 to be found in Courses section of this website. Visiting individuals or in groups who would like to tour the lace collection may do so by appointment. All interested participants are invited to get in touch. 1, Ta' Pinu Street, Gharb, Gozo. It is important to contact Consiglia at your earliest possible to discuss the reservation of a course booking. If you are planning to bring your group over for a course, do not hesitate to make contacts. Courses may be organised on request to suit your dates and tastes. 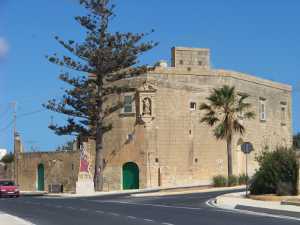 This portal is maintained by Mrs Consiglia Azzopardi who has been instrumental in the revival of the lace-making craft in the Maltese Islands during these last decades. This was achieved by both researching the history of the traditional craft and by teaching the discovered techniques which have been abandoned as the old generation of lace makers passed away. 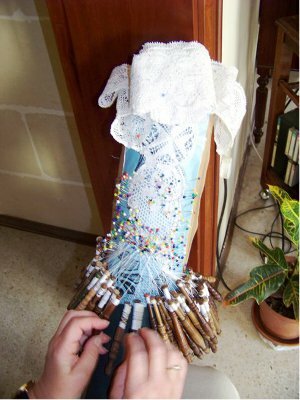 The teaching of Maltese lace started initially at the Gozo School of Arts in 1990. 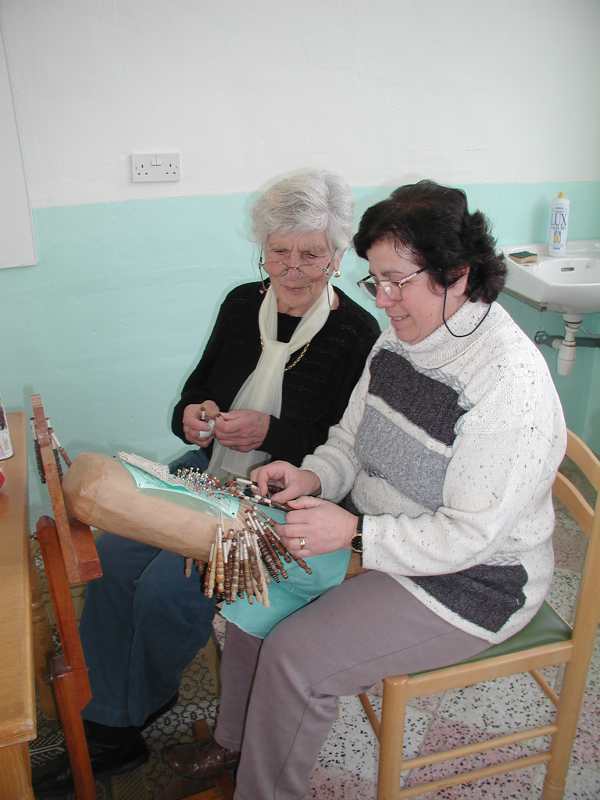 It was upgraded in 1996 by Lacemaking Programme at University of Malta, Gozo Centre, by offering a three-year Certificate Course in Lace Making and, recently, a Diploma in Lace Studies. Consiglia is also the director of the Koperattiva Ghawdxija tal-Bizzilla u Artigjanat - a cooperative of lace makers who graduate from the above mentioned courses and can perform a high quality lace worked on traditional and original designs. Koperattiva handles orders for hand-made lace products. Currently, Consiglia is working to establish a Casa Bottega for Lace Making with the purpose of offering short courses to individuals, locals and foreigners, in an old Gozitan farmhouse. The participants of such courses will have the opportunity to feel the calm Gozitan atmosphere and experience for themselves the lifestyle of the old Gozitan lace makers when the craft was at its peak. We hope you enjoy your visit to this portal, by which we keep you informed about the main current activities involving local lace craft. Please do not hesitate to contact Consiglia directly on consiglia@malteselace.eu. 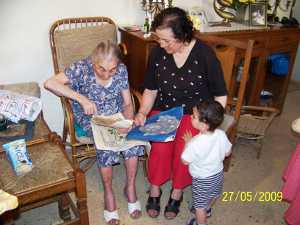 Consiglia Azzopardi discussing old lace patterns with Carmela Spiteri, 92 year-old Gozitan lacemaker from Nadur. Consiglia Azzopardi demonstarting a particular detail in Maltese lace technique to Maria Said in lace-class. 'Sliem', 28th April 1688 Str., Sannat, SNT 1115, Gozo Malta.